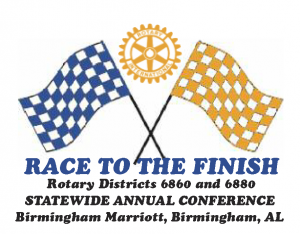 Rotary Districts 6860 and 6880 are joining together in Birmingham, AL for the Rotary Alabama Annual Conference April 26-28, 2019. Register now at http://events.rotary6880.org. Hotel registration is separate but available through the registration website. All Rotarians and spouses/partners are welcome. Please help get the word out! 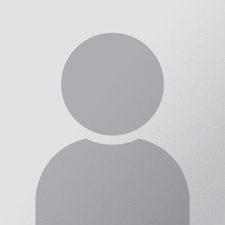 REGISTATION: ROTARIAN $175; SPOUSE/PARTNER $110; ALL CLUB LUNCHEON ONLY ON FRIDAY $50. HOTEL: THE MARRIOTT (3590 GRANDVIEW PARKWAY) IS GIVING US A GROUP RATE OF $129 PER NIGHT. BOOK YOUR ROOM BEFORE APRIL 5, 2019.